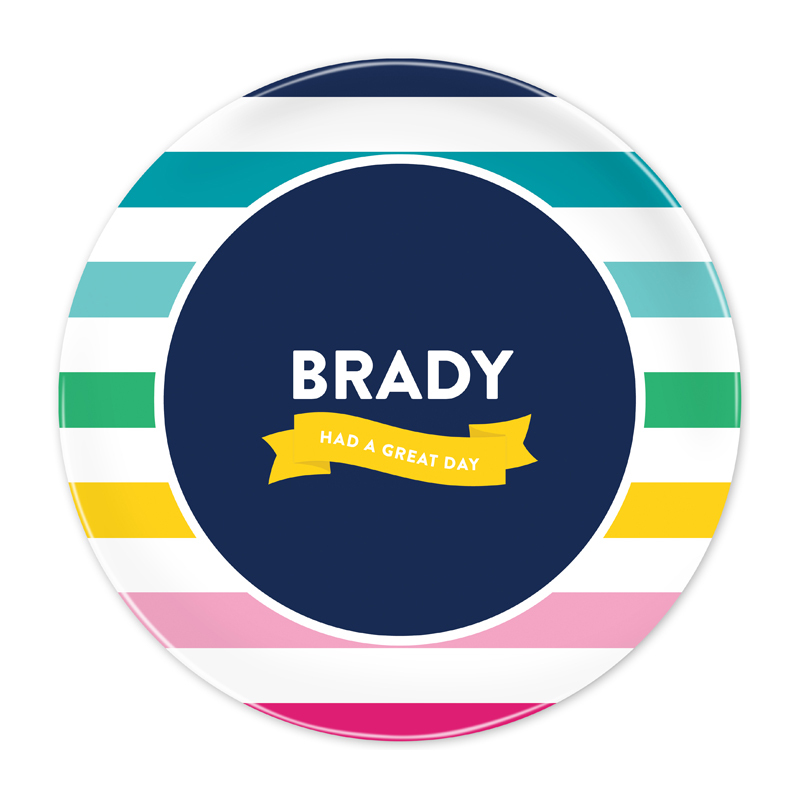 Celebrate the special days in a child's life with these stylish Great Day plates by Emily Ley. Personalize with your child's name, all designs are as shown. 10" round melamine plate. Safe for food and dishwashers, but do not microwave. For production and shipping, please expect up to 3 weeks for your plate order to arrive.